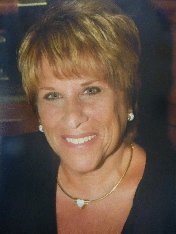 Leslie Goldstein has worked with law firms as a legal assistant for over 35 years, as well as being a personal assistant for personalities such as Edward McMahon, John Ritter, and Dina Merrill. Leslie personally organized fundraising events for KCSN Radio at California State University, Northridge. As a volunteer, she is also involved in fundraising activities for the City of Hope and Brandeis National Committee, and serves on the board of the Rancho Bernardo Chapter of Brandeis National Committee. For several years, Leslie was the legal assistant to Ken Kleinberg, joining his firm shortly after he founded his nonprofit organization, UKRO. She feels privileged to be a part of this vital organization in support of kidney disease research. Leslie now lives in Escondido, in northern San Diego County, with her husband, Jarret, and enjoys living near her children—daughter Lori, a real estate litigation attorney, and Lori’s husband, Matt, a middle-school science teacher, as well as son David, a dentist practicing in downtown San Diego, and his wife, Sarah, plus Leslie and Jarret’s three grandchildren, Ethan, Lauren, and Caden. Leslie’s son, Brad, attended the USC College of Nursing and is living in Los Angeles.